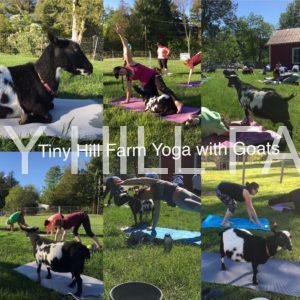 ← Tiny Hill Farm yoga with goats merch! 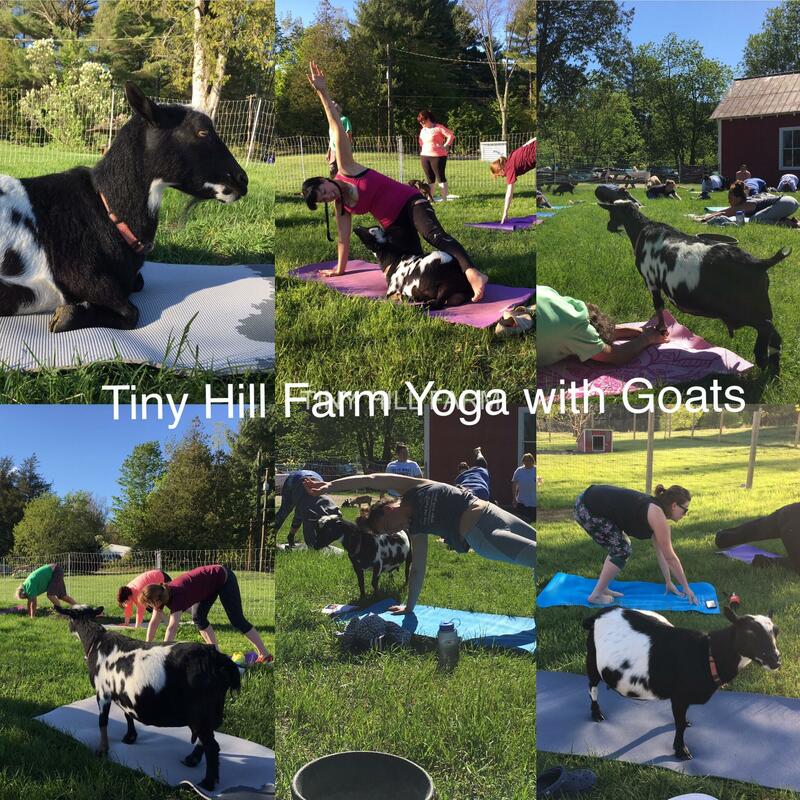 We have a few Tiny Hill Farm Yoga with Goats announcements! First, we’ve updated our class schedule to include our new “Kids with Kids” children’s yoga with goats class. The class will be Friday August 4th at 4:00pm. Parents and children of all ages are invited to attend a special half hour children’s’ yoga class with our yoga goats! As always, families are welcome to come a bit early or stay a bit late to spend even more time with the goats. Class is $20 per parent/child. All ages are welcome! Second, in addition to our AWESOME and extremely stylish Tiny Hill Farm Yoga with Goats teeshirts, tank tops, and yoga mats, we now have YOGA PANTS! A big thank you to Thistlefield Shop for making all of our great merchandise. Everything is $20 and we offer shipping anywhere in the USA. Contact us with any questions, if you would like any merchandise, or if you would like to sign up for any classes. No yoga experience is necessary, but a love of adorable goats is mandatory! Classes last one hour and are $20 per person. Our children’s class is 1/2 an hour and is $20 per child. Please contact us by calling/texting (603)817-0081 or email tiny hill farm (at) gmail.com to register or with any questions. Namaste!